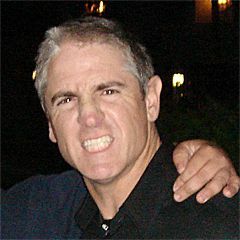 Carlos Jaime Alazraqui (born July 20, 1962) is an American stand-up comedian, actor, voice actor, singer, impressionist, producer and screenwriter possibly best known as Deputy James Garcia on Reno 911!. His extensive voice-over work includes the role of Bobbi Fabulous on Phineas and Ferb, the Taco Bell chihuahua in the Taco Bell commercials, Denzel Crocker and Juandissimo Magnifico on The Fairly OddParents, Rocko and Spunky on Rocko's Modern Life, Lazlo and Clam in Camp Lazlo, Grandpapi Rivera in El Tigre: The Adventures of Manny Rivera, and as Mr. Weed in Family Guy. He is a weekly contributor on The Stephanie Miller Show. Read more on Wikipedia.